Show your mum just how much she means to you with a meaningful mum bracelet! It’s the perfect way to express your love and makes a personal jewellery gift that she can wear and cherish every day. Whether you are looking for a special birthday gift, a Mother’s Day treat or just want to say thank you for being awesome… these thoughtful mum bracelets are designed to say it all! Best worn every day to keep your loved ones close! Each bracelet is designed to be worn as a reminder of your unbreakable bond every day. The unique beaded bracelet chain adds a touch of detail to any outfit and is perfect for stacking with other bracelets too. 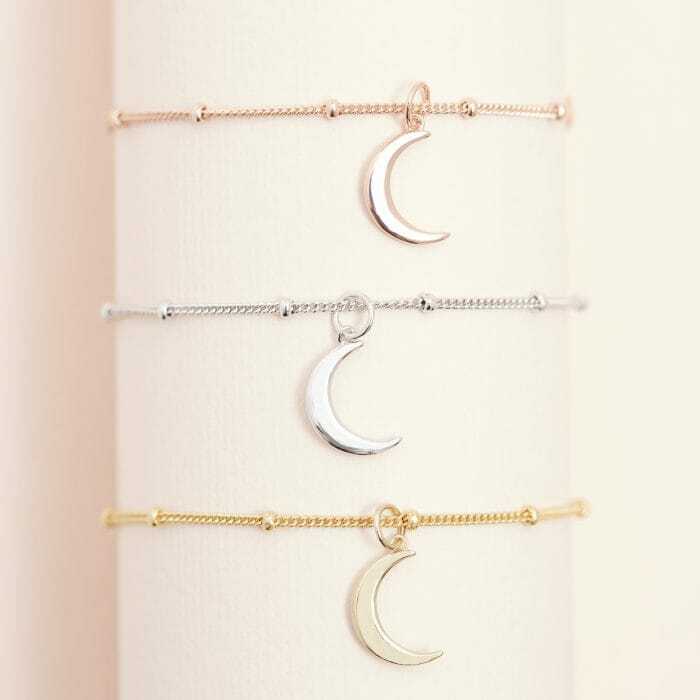 All of our bracelet charms are hand carved in wax and then cast in solid sterling silver, this is a technique used by jewellers called lost wax casting. Our mum bracelets are available in a choice of finishes including solid sterling silver or gold vermeil and rose gold vermeil plating. Each bracelet comes in our signature luxury gift packaging with a talisman card that explains the meaning behind the design. Each one of these meaningful bracelets in imbued with a positive message. 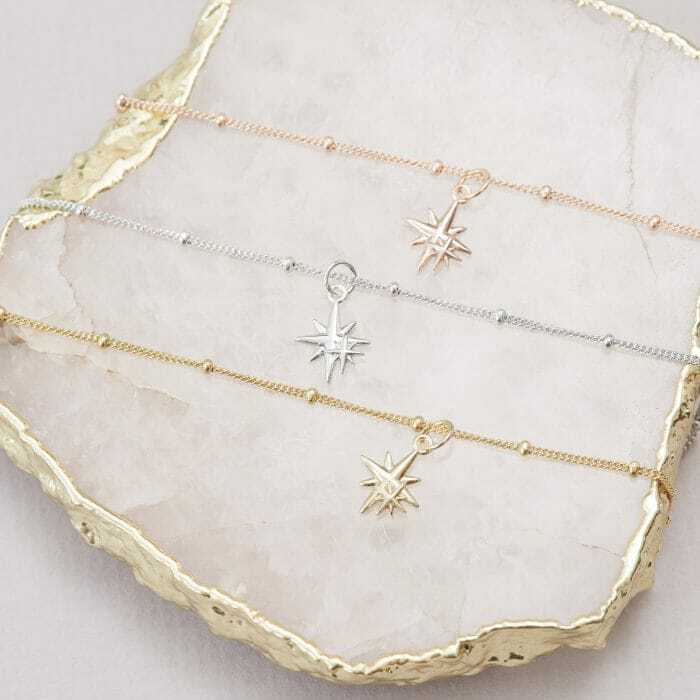 Explore our collection of bracelets that symbolise love, relaxation, female influence and new beginnings as well as the special bond between mother and child. Find the meaning that suits your mum’s personality and style best and she will treasure her bracelet for years to come. This silver beaded bracelet features a solid silver moon charm (also available in 18ct gold or rose gold vermeil). The moon is an empowering female symbol that represents the kindness and power of women worldwide. It’s the perfect message for the mum that is always there for you, no matter what! This rose gold bracelet includes a 3-D acorn charm that symbolises the start of a beautiful journey. As the saying goes… “Mighty oaks from little acorns grow”, so this is the perfect sentiment for any new mum or mum to be! This sterling silver bracelet features our signature Mother and Child charm, which includes 2 stars that represent the everlasting bond between a mother and her child. This much-loved silver bracelet is a simple way to show your love and comes in a choice of 3 colours; silver, gold or rose gold vermeil. 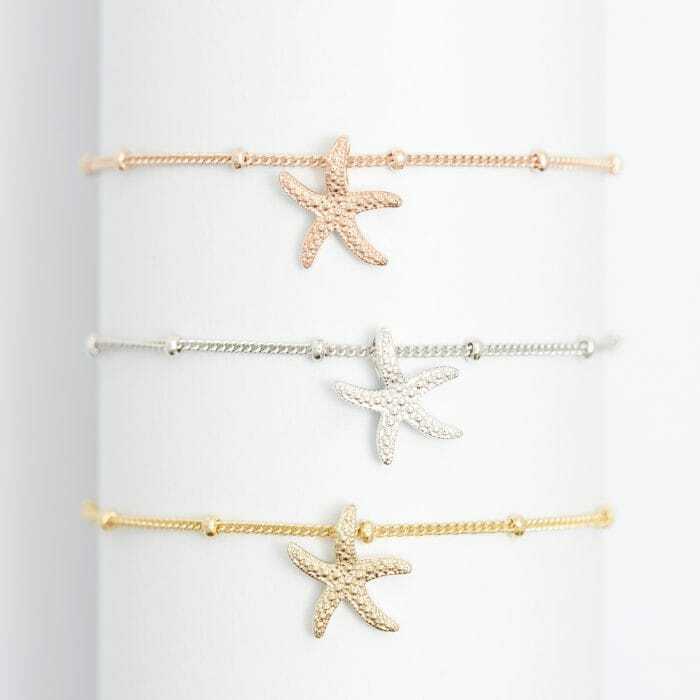 All mums deserve a bit or rest and relaxation and this gold starfish bracelet is perfect for busy mums that are always rushing around after their children! The intricate starfish charm is thought to inspire calm and tranquillity in daily life. Hummingbirds symbolise love and beauty. They are well known for their vitality and hard work (particularly when using their wings to hover in mid-air) and are able to remain serene throughout. 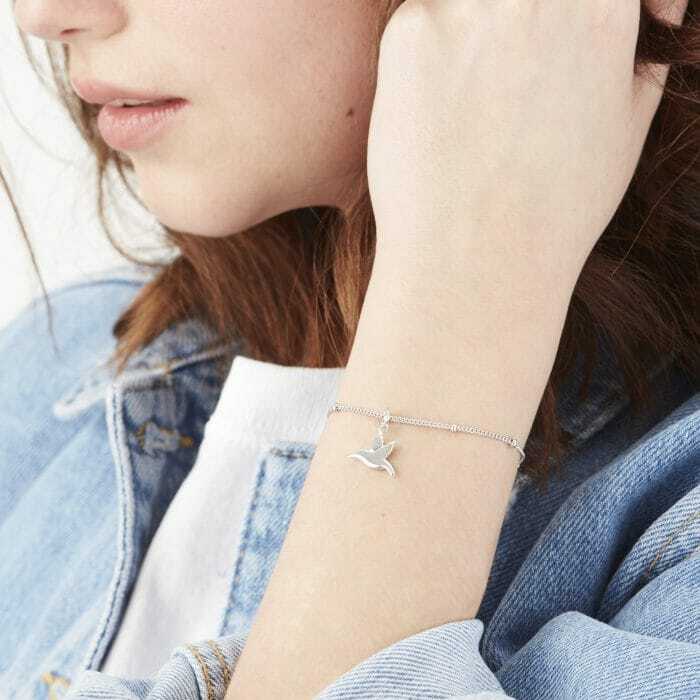 This rose gold tiny hummingbird bracelet is the perfect sentiment for the unflappable mum that is always there for her children! For more mum jewellery ideas, discover our collection of Mother and Child Gifts.